The go-to resource on federal government leasing for both new and experienced practitioners, this practical guide sets out the rules of the road for real estate attorneys as well as government contracting officers and leasing specialists. 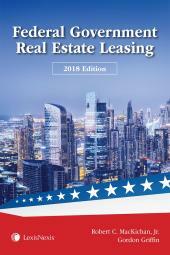 Federal Government Real Estate Leasing is the practical guide you need for federal government real estate lease formation and performance. 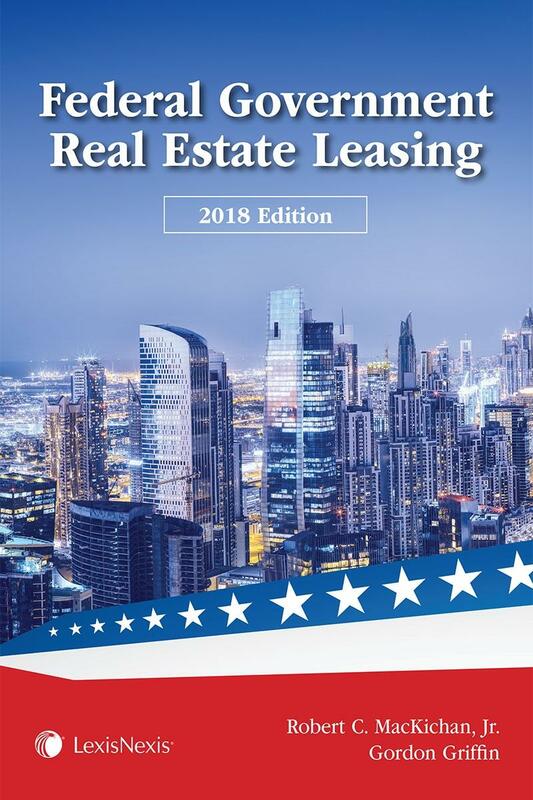 Whether you are already experienced in federal government leasing or you are a commercial real estate landlord looking to break into the government space, this guide will provide you with the most important rules of the road, as well as practical pointers in navigating the oftentimes confusing world of federal leasing. The federal government is the largest single lessee of space in the United States and federal government tenants are backed by the full faith and credit of the U.S. government. But leasing to the federal government is not without its risks and complications. Federal government leases are government contracts, and the federal government attaches a number of requirements and conditions through the contracting process. Commercial landlords may be unfamiliar with a number of these government-specific requirements. Similarly, the government has its own processes for awarding leases, resolving disputes during the term of the lease and addressing the sale of an asset with a government lease that will likely be foreign to commercial real estate practitioners. Austerity measures adopted by the government in an attempt to rein in costs have led to a smaller universe of government leases. This, in turn, has led to increased competition for a piece of the shrinking government leasing business. In this atmosphere of increased competition, contracting officers have become more sophisticated and discerning in their procurement decisions. How, then, should landlords approach government leasing in this environment of heightened scrutiny and competition? This guide is a primer for those new to government leasing, as well as a resource for more experienced federal real estate practitioners, government contracting officers, and leasing specialists. 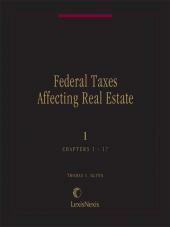 Federal Government Real Estate Leasing is written by experts in the field Robert C. MacKichan Jr. , a partner in Holland & Knight's Washington, D.C., office and the leader of the firm's GSA Leasing and Federal Real Estate Team, and Gordon N. Griffin, an attorney also at Holland & Knight's Washington, D.C., office, who advises federal real estate clients on U.S. government procurement practices and lease disputes under the Contract Disputes Act. Robert C. MacKichan Jr. is a partner in Holland & Knight's Washington, D.C., office and is the leader of the firm's GSA Leasing and Federal Real Estate Team within the Litigation and Dispute Resolution Practice. His multifaceted practice involves decades of experience in litigation, government contracts, real estate and public policy issues associated with federal government real estate. Clients call on him for his substantive knowledge and extensive relationships in D.C. to handle government real estate disputes, government contract concerns, government lease procurement and administration, real estate acquisition and disposition, and government construction and administration. In addition, he advises clients on holdovers and condemnations, the competitive procurement process and disputes under the Contract Disputes Act. Mr. MacKichan primarily represents building owners, real estate developers, REITs and asset managers nationwide in matters relating to federal real estate disputes. He previously served as general counsel of the U.S. General Services Administration (GSA), where his work included the authorization for the construction of the International Cultural and Trade Center Building (now named the Ronald Reagan Federal Building) in Washington, D.C., as well as the utilization of public bond financing for several GSA projects. Gordon N. Griffin is a Washington, D.C., litigation attorney practicing in both federal real estate and government contracts. Mr. Griffin represents building owners, real estate developers, real estate investment trusts (REITs) and asset managers nationwide in matters relating to General Services Administration (GSA) lease negotiation and administration, as well as federal real estate disputes. He advises federal real estate clients on U.S. government procurement practices and lease disputes under the Contract Disputes Act. Before becoming an attorney, Mr. Griffin spent 11 years in the U.S. Marine Corps as a fighter pilot flying F/A-18 "Hornets," and deploying in support of Operation Iraqi Freedom. Mr. Griffin remains active in the military and veterans communities, with a pro bono practice centered on representing veterans at the U.S. Court of Appeals for Veterans Claims. § 9.01 Leasing Alert Providing Clarification Regarding The Use Of The Building Specific Amortized Capital (BSAC) In Government Leases.